Over the years I've tried to minimize that anxiety by making sure I have my first day planned in a way that will show students my teaching style and procedures right from the beginning. As always, I try to blend fun with rigor and make sure my students' voices are heard. 1. Past, Present, and Future Book Banners: Put old books or dictionaries to use by creating word search buntings. 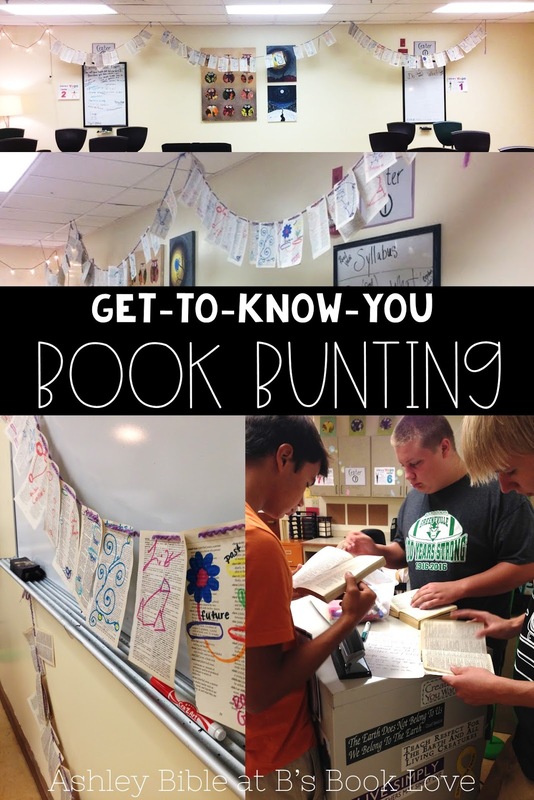 This is a simple, fun, and decorative get-to-know-you that students love. All I did was tell them to rip a page from a dictionary (old books would work too) and draw attention to three words to represent their past, present, and future in an artistic way. You can also do something like "three words to describe you" or "three words that you connect with" etc. 2. 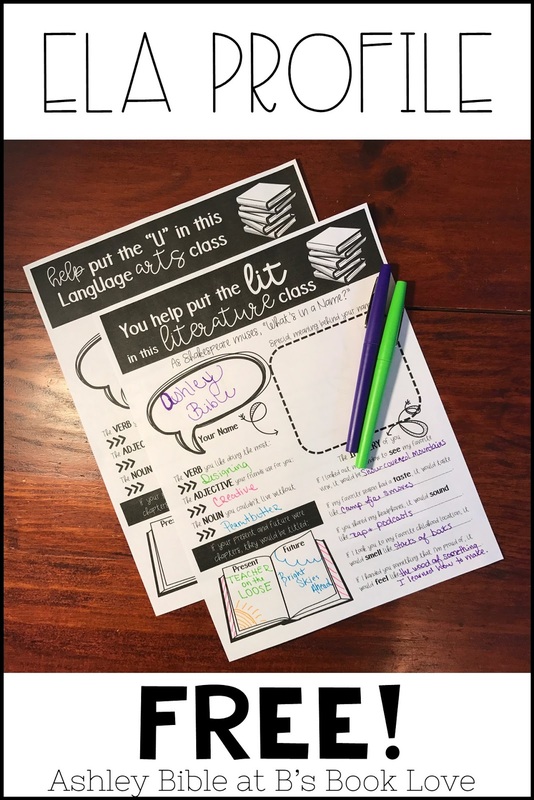 English Language Arts and Literature Specific Profiles- I designed this fun little ELA profile page for my email subscribers as a back-to-school gift. One is for English Language Arts classes and the other is for Literature classes. I love that it highlights what ELA class is all about while also providing quirky details about students. If you aren't on my email list and would like to receive this gift, you can sign up below. 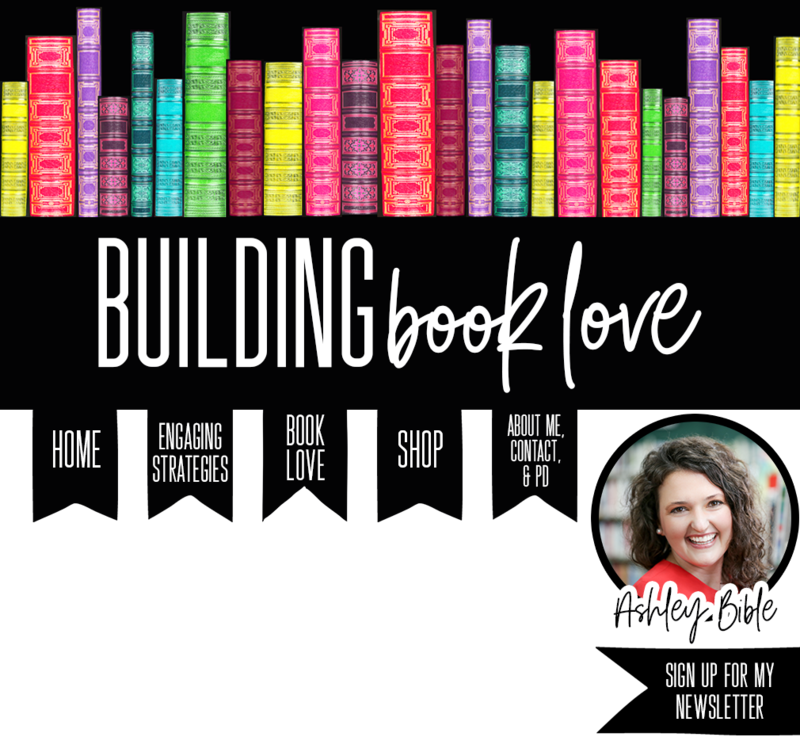 This resource will be delivered to your email! 3. 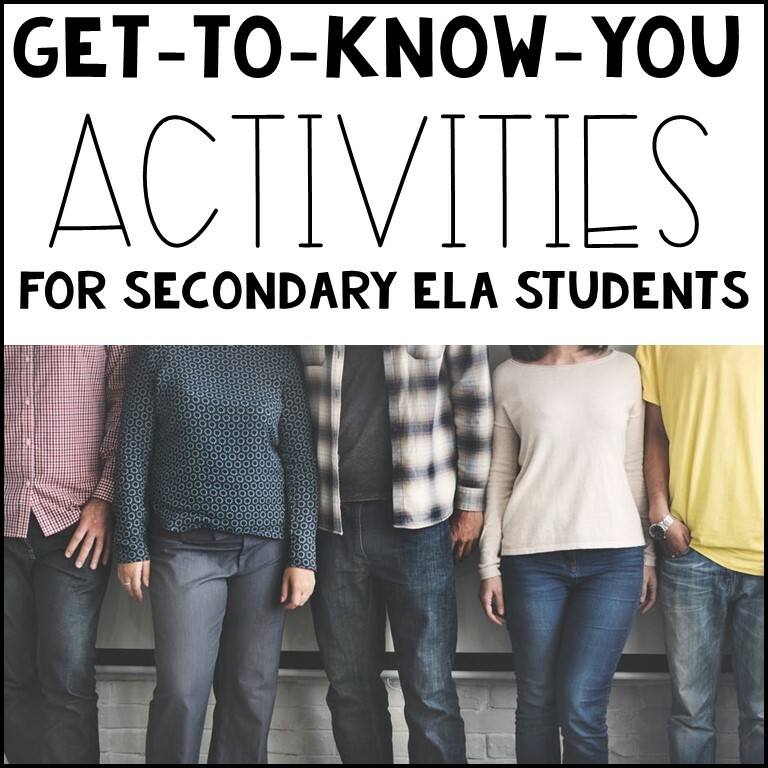 A Digital Student Infographic and Informational Text- I added this to my first day activities last year because my school recently went 1:1, and I wanted to get my students started with our technology procedures from the very first day. Plus, this serves as a quick and visual way to learn about my students and assess their informational text reading skills. As a last note about first-day activities, I would like to add that I've been using stations on the first day of school for two years now. 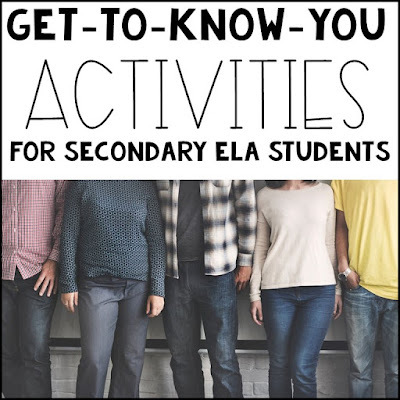 I have become a huge cheerleader for stations in secondary classrooms, so I want to show my students how active my class will be from day one. We spend about 5 minutes on each station so that only half the class is taken up with these activities. The other half of class is spent filling out their infographic (see above) and becoming familiar with our technology procedures. While I don't have anything formal for you to print out, here is a list of the stations I used last year. I hope that these inspire you to make some stations of your own! Station 5: Check out a book from my classroom library or discuss book recommendations with group members. Station 6: Various tasks such as learning where things are located, getting assigned a textbook or novel, or exploring their digital notebook. I hope that you have a great start to the year!